Tin cans are so pretty common in our western world. We are so much familiar with the canned food items, we take beverages in these tin cans made with a thin layer of fine steel. They are known to preserve the edibles and beverages for longer periods of time. Well, they ofcourse come in a variety of sizes, shapes and colors according to the brand they are representing. 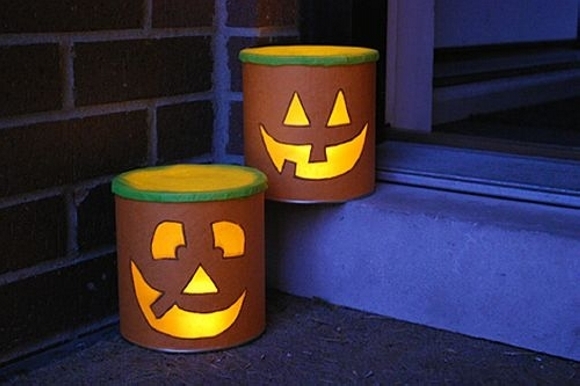 We are just looking into some creative matters and we are going to upcycled tin cans to make lantern. Lanterns which are used to lit our rooms and houses. So this would be a sort of room home décor approach. Beginning with these multi sized bunch of tin cans. We have done some perfect piercing on the tin cans to make them look like some famous cartoon characters right on the front. And we made a twisted wire handle for them to carry. 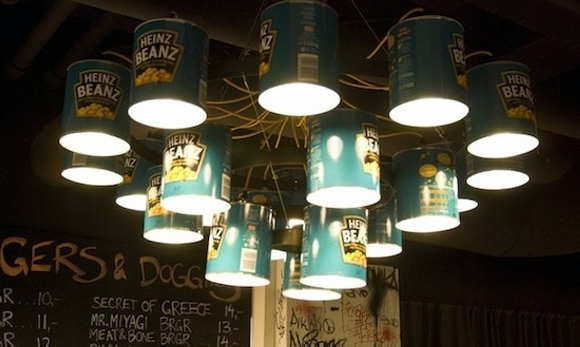 This one is simply gorgeous, I mean you won’t be able to find such awesome lighting installations from the market. 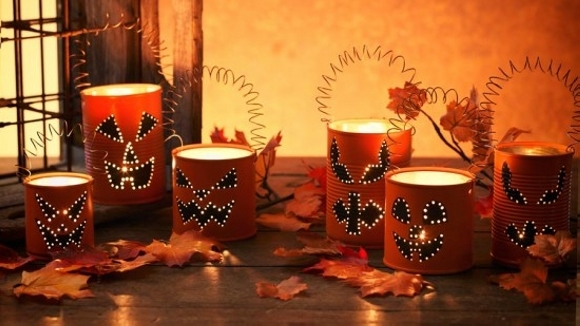 Prettiest designs are carved or pierced on the tin cans which on the reflection of light, give a heart shaking view. 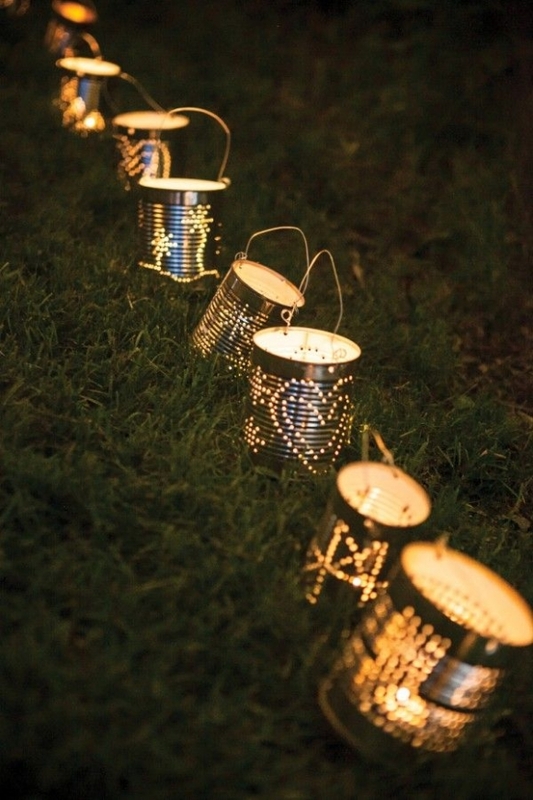 Who really knew that tin cans could look so pretty when upcycled as tin can lanterns. 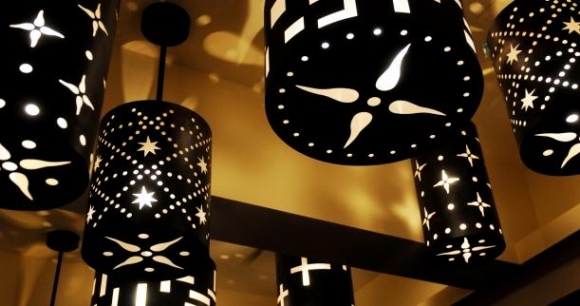 If you are an art lover and want to give your study a new look, or want to embellish some other room of your house with some most modern lighting installations. 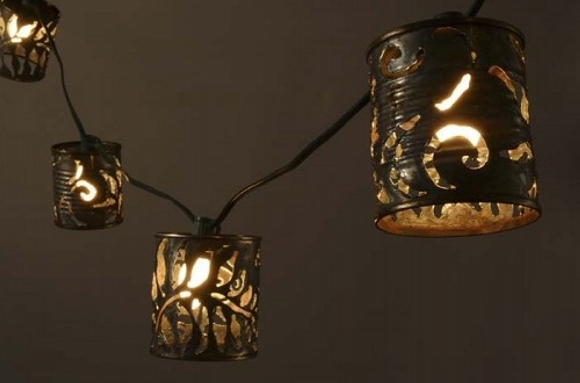 These tin upcycled lanterns would simply do a great job for your room embellishment. When we need some controlled flow of light inside the room and we also have multiple Edison bulbs inside the room, such blocking chambers are installed along the bulbs for a controlled flow. 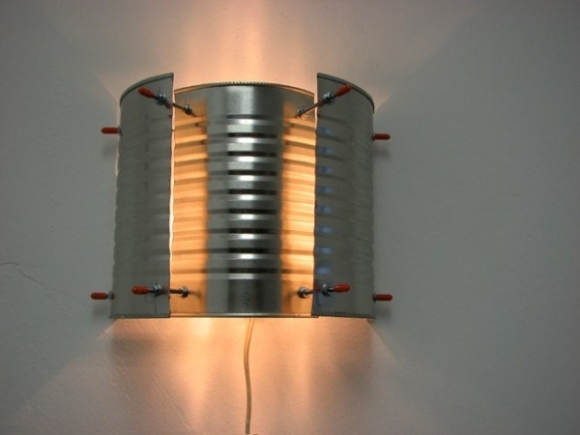 This time we have made same metallic chamber with recycled tin can. This simply looks great. 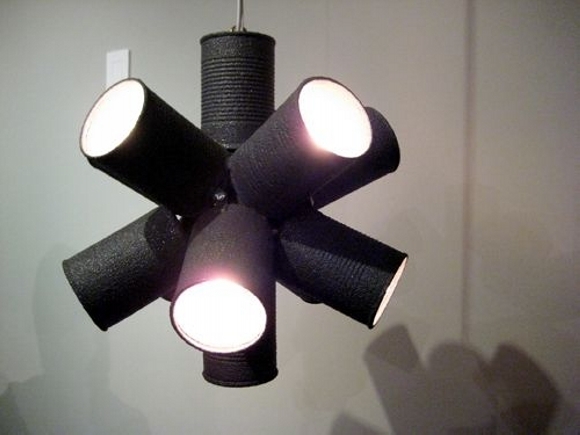 The next lantern in our timeline reminds me of some modern disco lights having multiple lighting chambers. 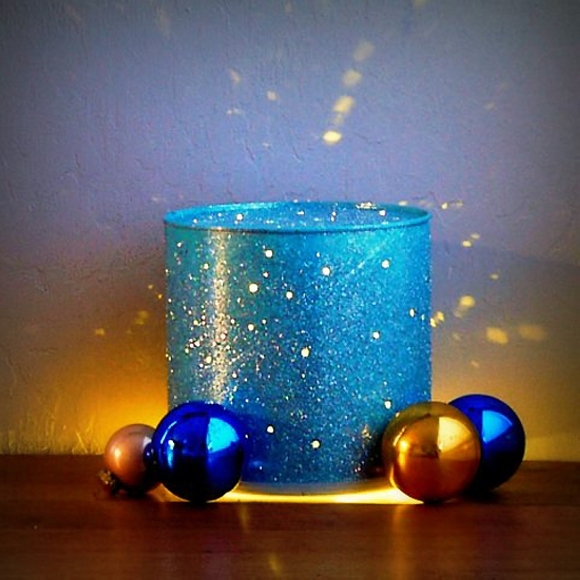 The same pattern is adopted in this upcycled tin can lantern. 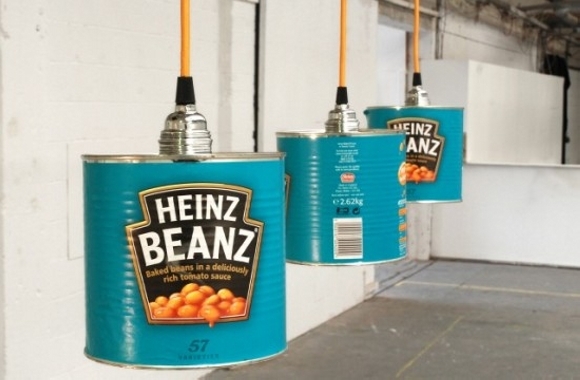 Various tin cans are connected with single metallic wire having built in Edison bulb in each of them. 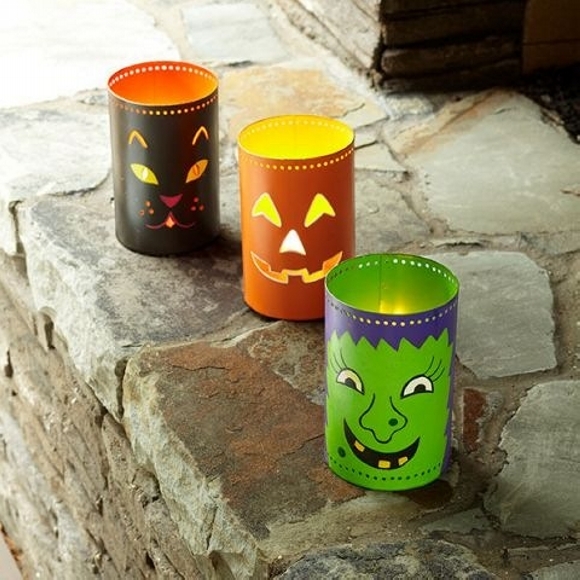 If you are planning to upcycle these tin can lanterns for the kids and their room, this would be a perfect choice to carve or pierce some cartoon characters on them, and paint them with some common colors like green, orange and black as we did here in this project. Making this vintage table lamp would be so damn easy task to execute. 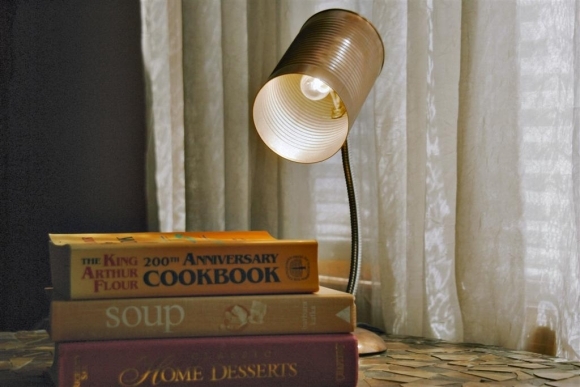 If you have some leftover skeleton of some old lamp table, you can use this upcycled tin can as the shade on this vintage table lamp. Your best companion while reading books at night. And finally, this one is more modern and more modified tin can upcycled lantern, or rather I would call it a modern chandelier that we buy from the market against hundreds of bucks. So this is another classic example that how cute things you can recycle with trashed material, just work a bit on your creativity and innovation and it’d never let you down.